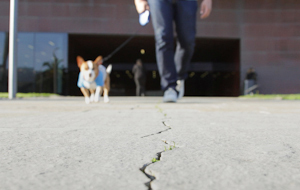 October 17th at 5:04 p.m. will mark the 25th anniversary of the Loma Prieta earthquake. For those of us who were in the San Francisco Bay Area during the earthquake, we saw the region come together and rebuild, and as a result become stronger and more resilient. Whether you were here to experience the Loma Prieta earthquake first hand, observing from afar, or too young (or net yet born), this anniversary means something to all of us—because living in the San Francisco Bay Area means living with the ocean, the hills, and fault lines, too. The Loma Prieta earthquake’s 25th anniversary (LP25) commemoration is brought to the San Francisco Bay Area in partnership among government, non-profit, and private sector organizations whose missions are to respond to and recover from emergencies. The goal of LP25 is to create a series of events to commemorate the 25th anniversary of the Loma Prieta earthquake and to develop interactive opportunities to help Bay Area residents prepare for an emergency. So let’s come together for the 25th anniversary of the largest earthquake to occur in the Bay Area since 1906 and remember those who lost their lives, honor those who came to aide, and learn how to be ready for the next major earthquake that could occur in our beloved San Francisco Bay Area. And in doing so, enjoy the peace of mind that comes with knowing how to be prepared for just about any type of emergency, while discovering that you are more prepared than you think. The kick-off event will take place on the eve of the anniversary Oct. 16th from 6-10 p.m. LP25 will piggy back on the California Academy of Sciences’ already amazing NightLife with a re-premier of Earthquake: Evidence of a Restless Planet! along with live music, and educational programming led by city officials and emergency preparedness experts. The Commemoration will continue on Friday the 17th, the official anniversary of the quake, with the LP25 Preparedness Interactive from 12 noon-7:00 p.m. at the Exploratorium at Pier 15 in San Francisco. The LP25 Interactive is a dynamic educational exhibition designed to make emergency preparedness an unforgettable experience. The LP25 Interactive will take place at the Exploratorium outdoor gallery. As the exact time of the earthquake 25 years ago approaches (5:04 p.m.), join public officials in remembering the earthquake with a moment of silence along with recollections of Loma Prieta—and how the Bay Area is stronger as a result. The public is invited to enjoy the Exploratorium’s exhibits with free admission the Exploratorium from 4-7:00 p.m. Following the LP25 Commemorative Program, enjoy the Taste of Preparedness (TOP) Chef Cook-Off from 5:30-6:30 p.m, hosted by the Salvation Army. The cook-off is a fun way to showcase the types of food supplies you should have stored as well as food preparation during an emergency. Whether you were impacted by the Loma Prieta earthquake first hand, or have yet to experience an earthquake of that magnitude, The LP25 commemoration is an opportunity get us all connected and prepared before an emergency—so we can be that much better off when something happens. As many of us reflect upon what happened 13 years ago today, we would like to join the conversation about 9/11 with this DEM Blog from our archives.